SAN DIEGO (CNS) - San Diego officials today unveiled a dozen proposals designed to ease the high-cost city's lack of affordable housing. The goals of the "Housing SD'' plan are to spur the construction of low-income and middle-class housing through incentives, streamline development standards and speed up the review process, direct funding toward affordable housing and encourage growth in transit-friendly areas. The latter point would support the city's plan to address climate change, according to the mayor's office. 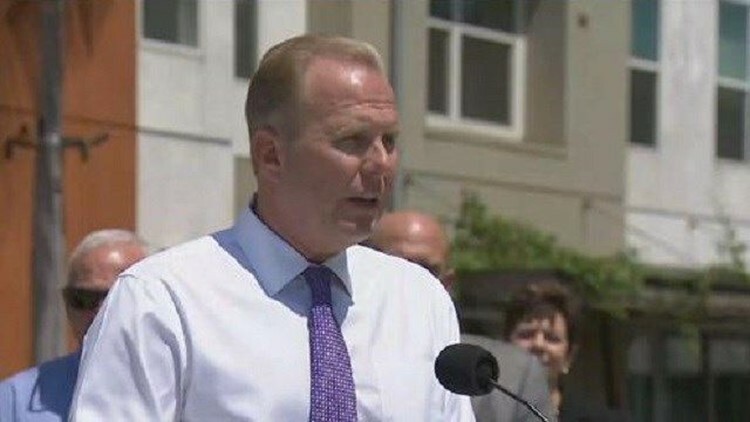 "The state's housing shortage and the unaffordable housing market it spawned has left the dream of homeownership out of reach for the majority of San Diegans,'' said Mayor Kevin Faulconer, who made the announcement at an affordable housing complex in Logan Heights. Last month, the California Association of Realtors reported that just 28 percent of San Diego households could afford to purchase a median-priced home in the area. "The housing affordability crisis is the top issue facing our city that is literally forcing the next generation of San Diegans to move outside the region,'' said Councilman Scott Sherman, who chairs a committee that deals with land-use issues. -- establishing a $20 million financing fund to encourage development near transit hubs. Another provision, which would ease regulations on construction of auxiliary units or "granny flats,'' was recently given a nod by a City Council committee. "Housing costs spiraling out of control impacts everyone, and everything we aspire to accomplish as a city,'' said Councilman Chris Ward. Ward represents downtown, Hillcrest and North Park, areas where housing is expensive and the problem of homelessness has continued to grow.